Caused by injury, infection, irritation or inflammation, neck pain can be quite troublesome and it’s important that you seek treatment before the condition worsens. If gone unchecked, the natural forward curve of you neck may become straight or even reverse its curve which can cause a multitude of problems. Yours may experience bony growths (called “spurs”), thinning of the discs-even deterioration of muscles and ligaments can occur. Because these changes are not always painful (or not painful enough to cause you real concern), it’s important that you have a thorough examination, including X-rays or an MRI exam if indicated. For example, spurring, lipping, or the presence of osteoarthritis are in fact, defense mechanisms that attempt to stabilize an off-balance spine. The latest research and medical consensus shows that chiropractic (manipulative) care can reverse these effects in many patients. 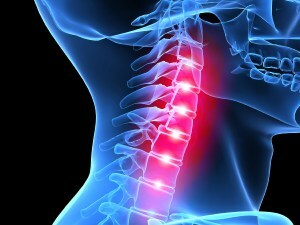 Neck pain (along with shoulder, hand and arm pain) is quite often a complex and difficult problem. That’s why it’s critical that you have a complete and thorough examination to help recognize the problems and chart the correct course for treatment. Because the problems causing the pain may go unnoticed, it’s imperative to be examined as soon as possible. If you would like to have more information or to set up a consultation and see how we can help you (or someone you know), with your neck pain, give us a call at 813.254.5200 to schedule an appointment.